This is to certify that the 24 products specified in the listing below, manufactured by BEBEI CHENGXIN CO., LTD. of the above address, are Kosher and under our supervision. All products listed below are Pareve. All products listed below are Kosher for year-round use, exluding Passover. XK13-216-0005 of Shijiazhuang City, Hebei, China, as stated on original manufacturer’s label. 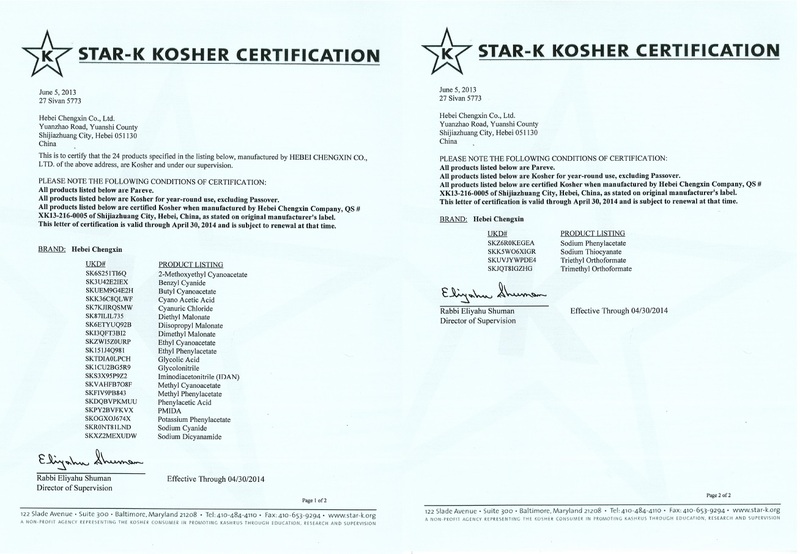 This letter of certification is valid through April 30, 2014 and is subject to renewal at that time.